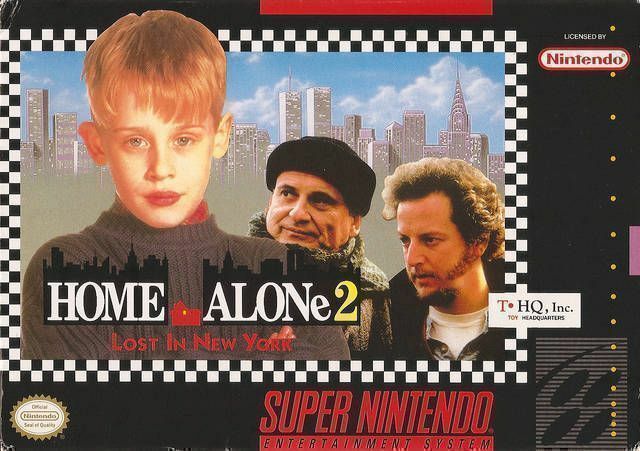 Based on the movie, Home Alone 2: Lost in New York for Super Nintendo allows you to play as Kevin McCallister once again as he sets traps and avoids the crooks trying to capture him -- this time, in the airport and on the mean streets of New York City! You can use all kinds of cool gadgets to throw Marv and Harry off your trail as well as visit all kinds of new environments. For 1 player.